Compiz requires that you have 3D hardware video acceleration. If you have not yet installed the necessary drivers for your video card, you should do so before proceeding. And then save the file! You can skip this section if your using ATI and or are not using nVidia drivers! Follow this section to avoid the Checking for Composite extension: not present error code. Now press Ctrl+Alt+Backspace to restart x and login once prompted. If all has gone well, you should be seeing the new window effects of Compiz-Fusion. Click OK and Close to save changes, Restart your Debian Lenny PC and Enjoy Compiz-Fusion! 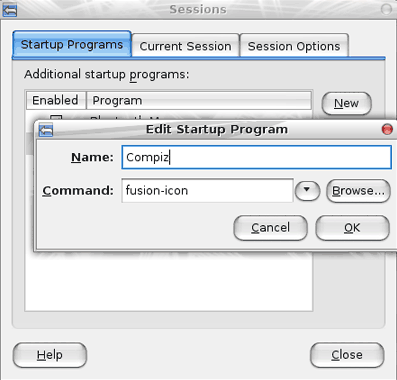 Notes: Right click the fusion-icon that should appear in your Gnome Panel to make all of your adjustments. Update 1/14/08: It appears that the Compiz "Stable" Repositories have been recently included into the official Debian Lenny Repositories. This article is left in place for those who wish to try the Unstable Repositories.